If you’re familiar with Ozark and the surrounding areas, you know all about the craft fairs that take place every year. 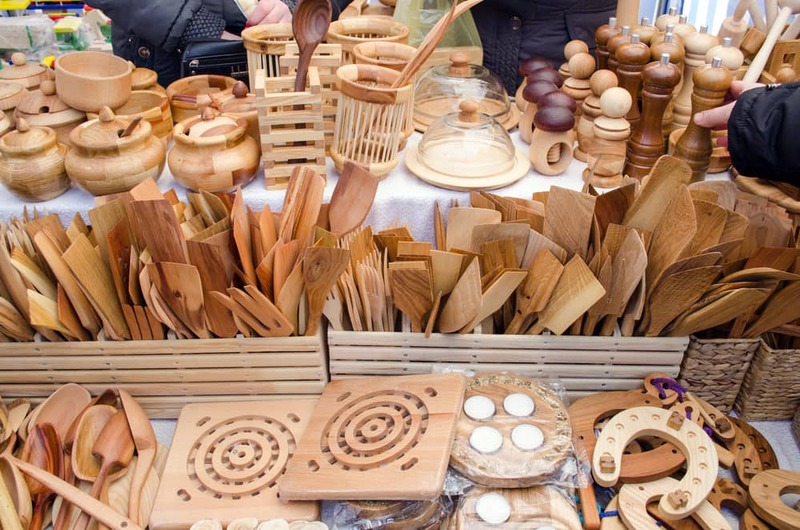 For vendors and craft enthusiasts, it’s easy to accumulate more inventory and equipment than you have room for. A self-storage unit provides the perfect solution for maxed-out inventories and bulky canopies, folding tables, and chairs. Read on for self-storage tips from Affordable Family Storage for craft enthusiasts. If you’re a vendor at a craft show, then you probably have a canopy you use to keep yourself and your items protected from the elements. Even if you don’t experience a heavy rain on the day of your craft show, your canopy will accumulate dirt and pollen. Before placing your canopy back into storage, be sure to clean and dry it thoroughly. Putting damp or dirty items into self-storage typically means the items will be in worse shape when you want to retrieve them. Avoid the frustration of finding a ruined canopy by taking the proper precautions. Maybe you had a slow weekend of sales or you’re stocking up in preparation for a big fair in the fall. Either way, you’ll need space for all your inventory. You don’t want to clutter your workspace at home with shelves and shelves of crafts. Instead, move all your spare inventory to a self-storage unit from Affordable Family Storage. Our climate-controlled and secure self-storage units come in many sizes to fit your needs. The most convenient aspect of a self-storage unit from Affordable Family Storage is the ease of access. Our units are located within a facility, which adds a layer of security, and they allow for drive-up access. With dollies and hand carts available on-site and access ramps, loading your inventory in and out of your self-storage unit is a breeze. Before and after a long day at the craft fair, you’ll appreciate how little effort it will take to move your items. As proud members of the Ozark community ourselves, we appreciate the hard work and time that goes into setting up for the craft fairs in the area. Let us show you that appreciation by providing you with reliable and secure self-storage solutions for your inventory. We’re conveniently located at 601 E. South Street, just up the hill from the Ozark City Square. Call us today or reserve your unit online to get started!